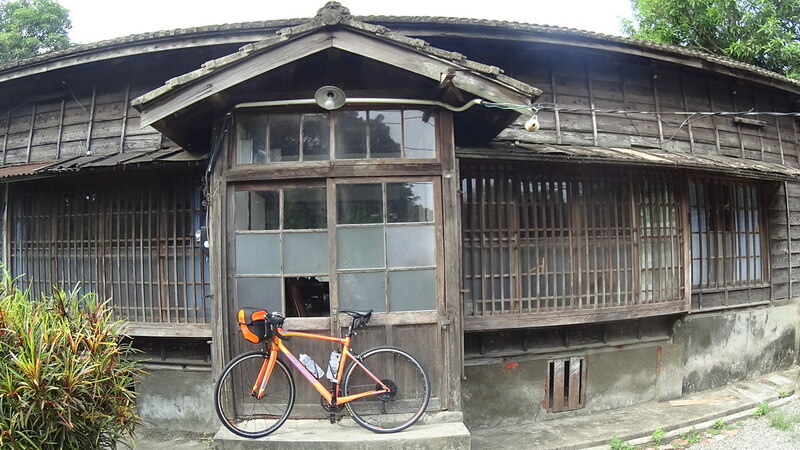 Bike Length: ~ 110 km. 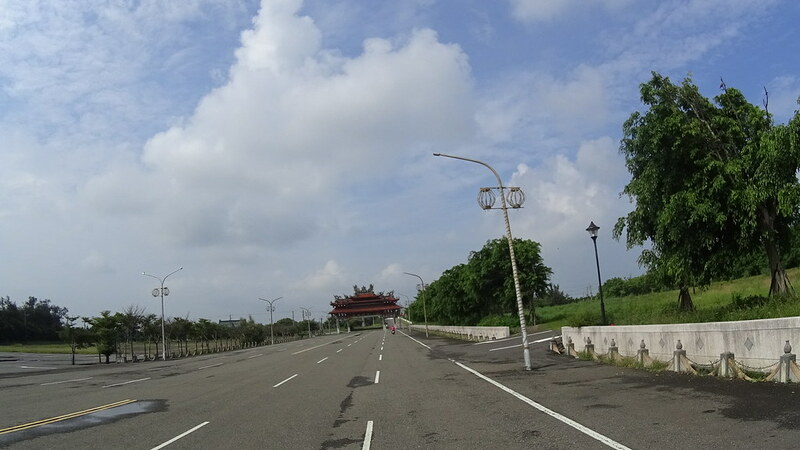 Be aware of scooters riding on opposite direction. 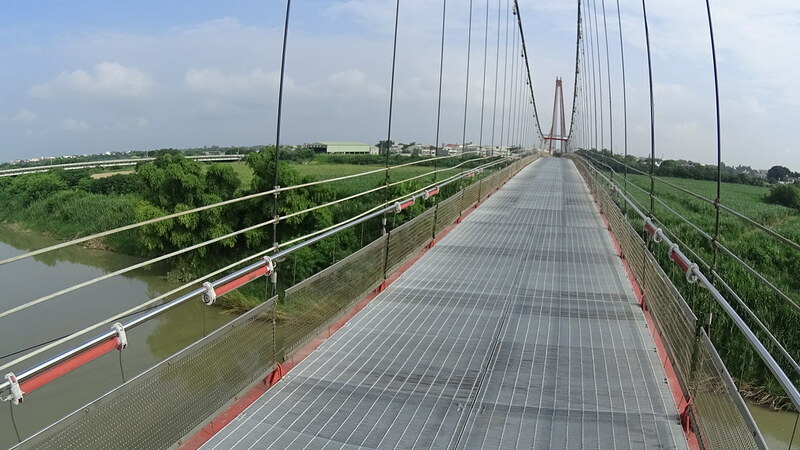 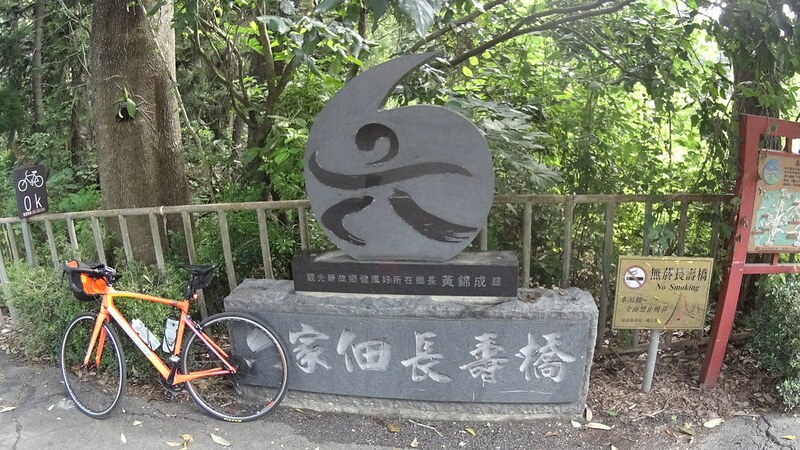 The ChiaYi Land and Coastal Ride was the 5th effort after TaoYuan Coastal Bike Path Ride, to develop near 100 km Taiwan shore riding route. 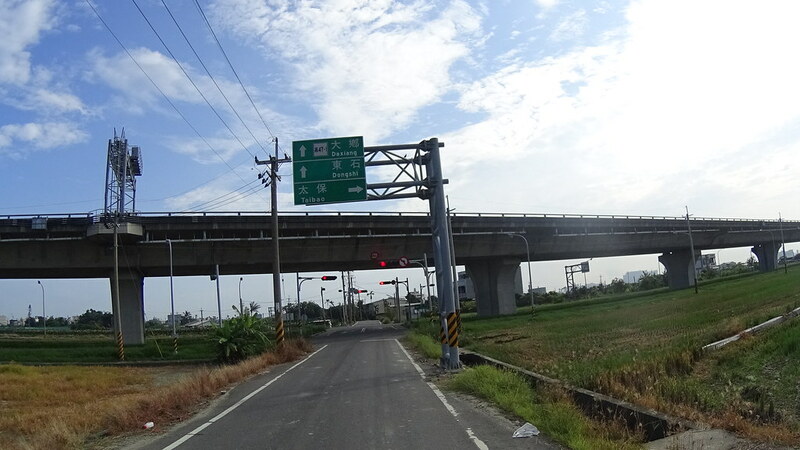 After developing the coastal rout in TaoYuan I decided to go south of TaiChung for new coastal routes. 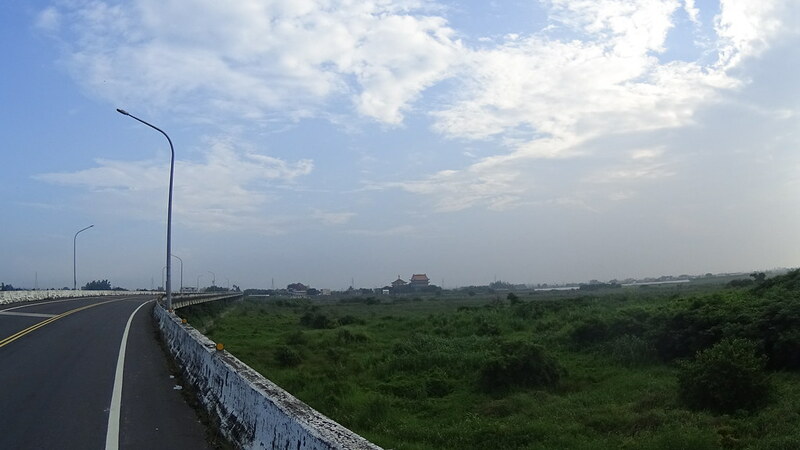 ChangHua (彰化)’s coast looks too boring, and YunLin (雲林) has the notorious MaiLiao chemical plant complex (麥寮六輕). 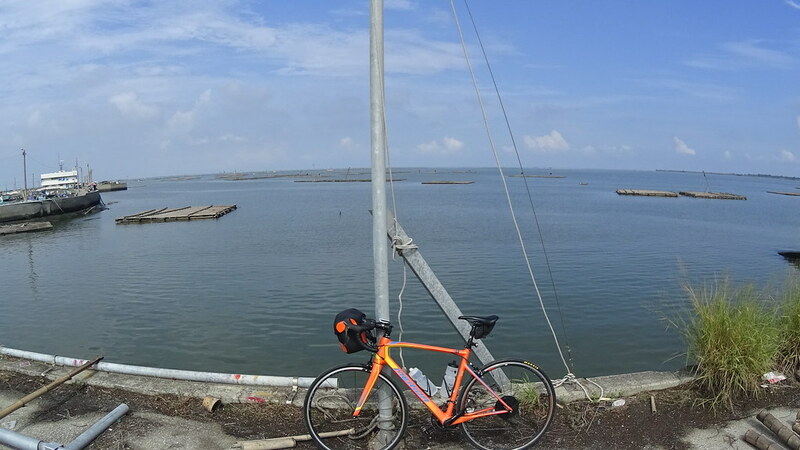 Thus ChaiYi became the obvious choice for a coastal route. 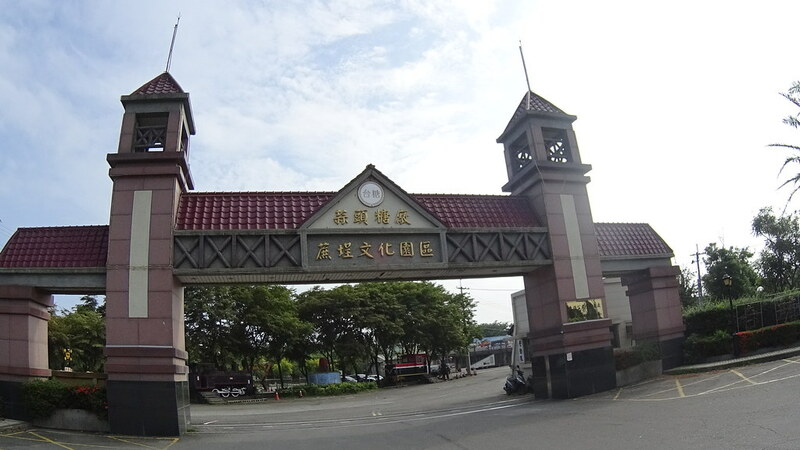 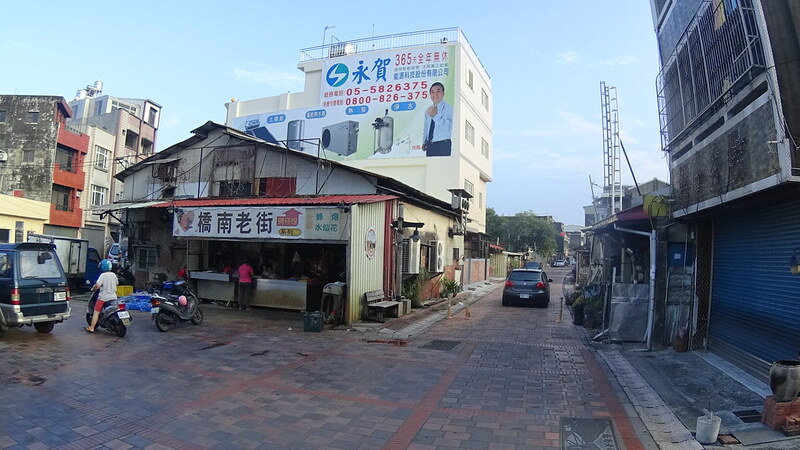 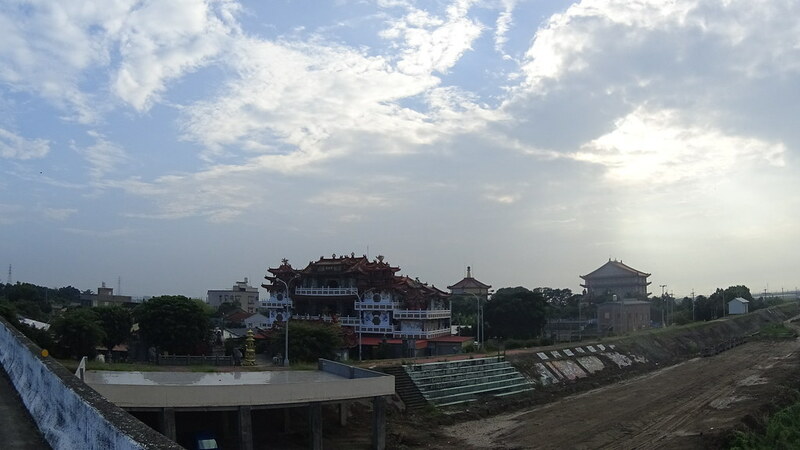 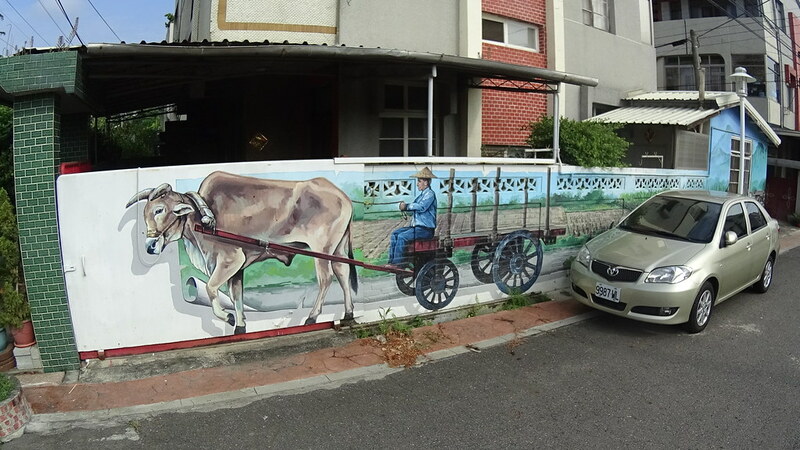 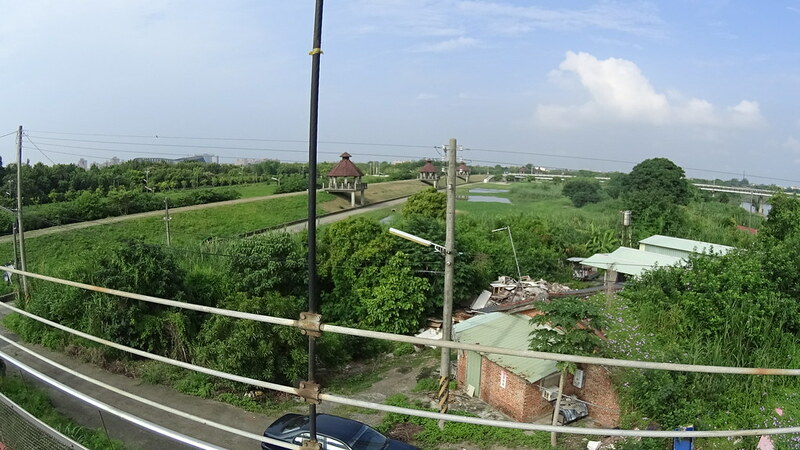 Our ChiaYi Land and Coastal Ride started at the YanShui (鹽水) Town. 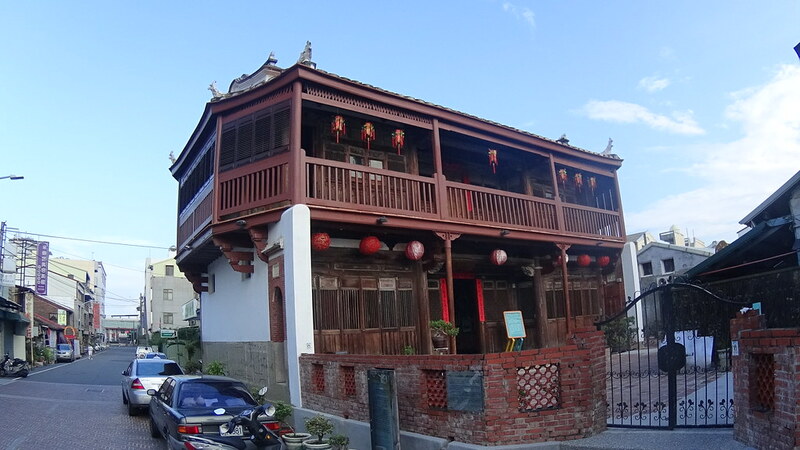 YanShui was one of the oldest towns in Taiwan, and was famous for its annual “bee firecracker” (蜂炮) event during Lantern Festival. 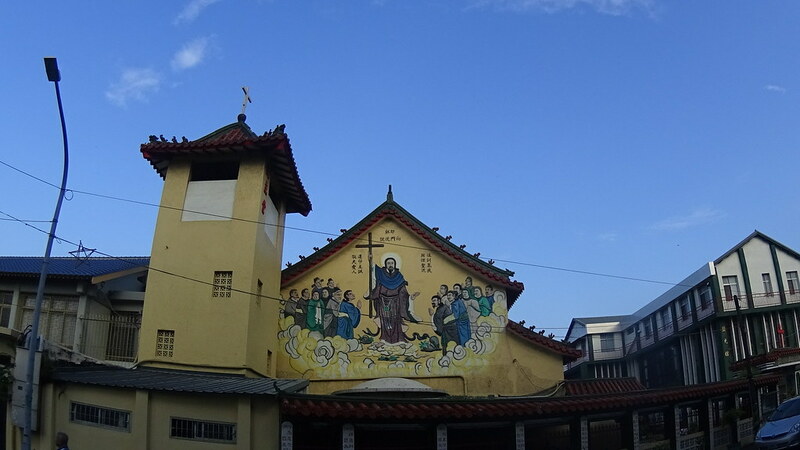 One amazing building at YanShui was its Catholic church. 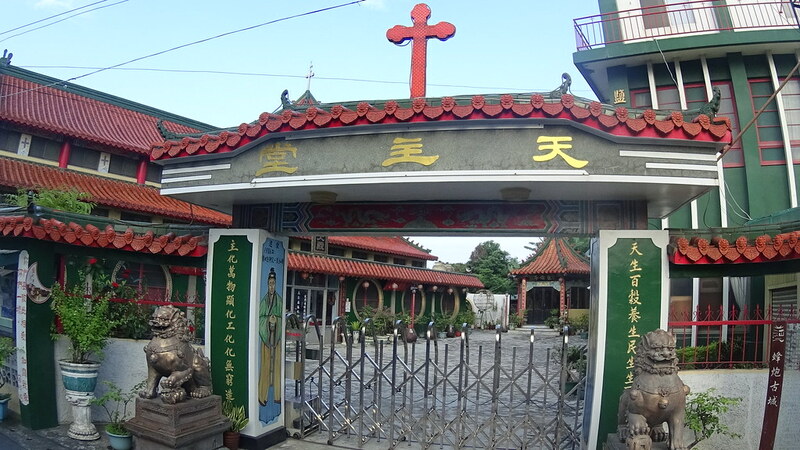 The church was built with traditional Chinese style, and all the people in the drawings were also dressed in traditional Chinese style. 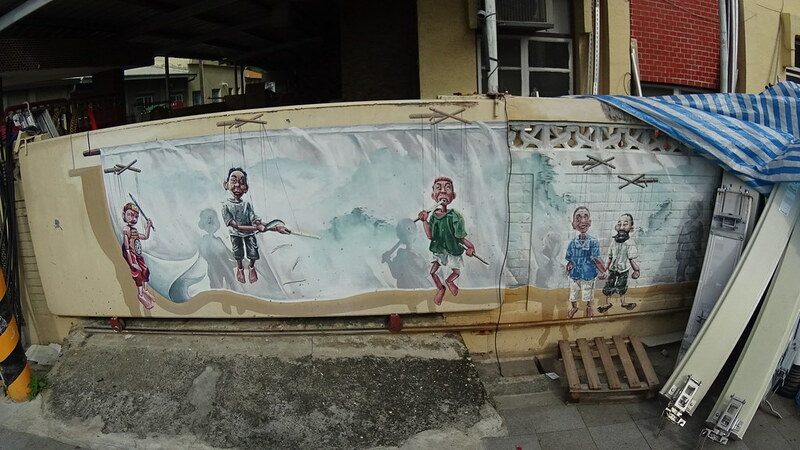 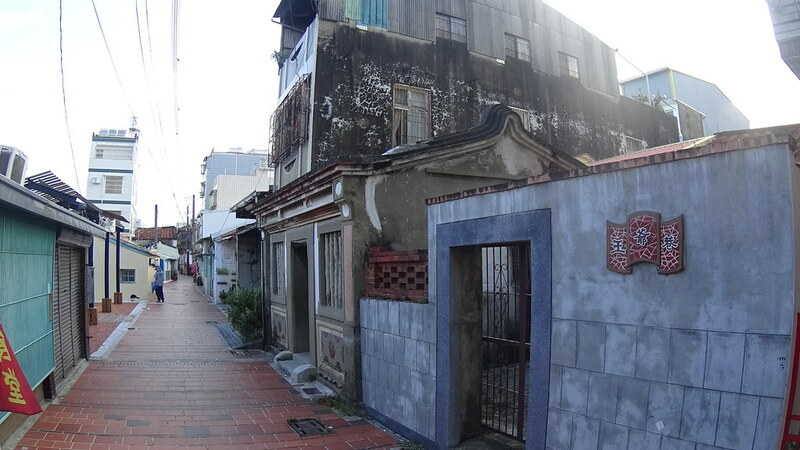 As an old town, YanShui also had many old streets to explore. 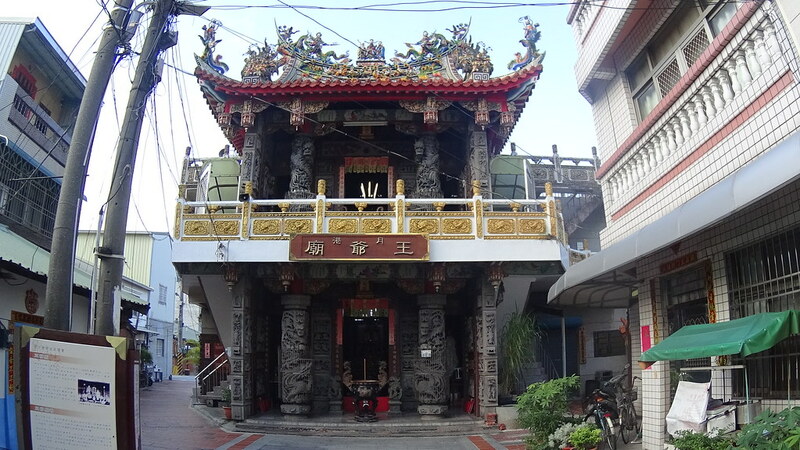 Temple in a narrow alley. 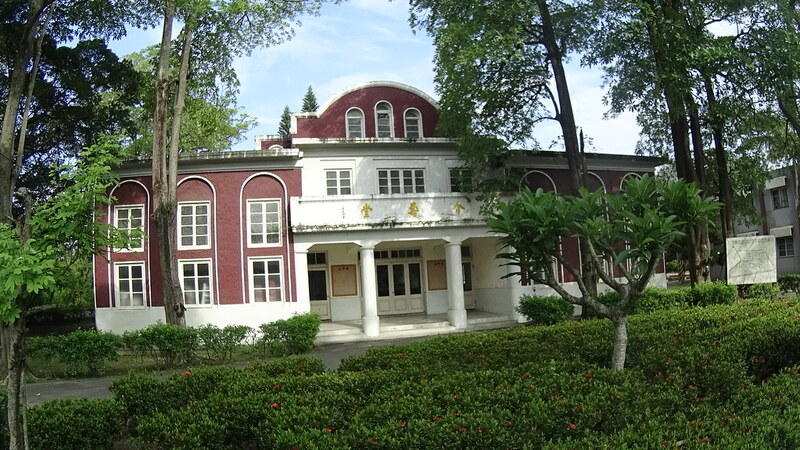 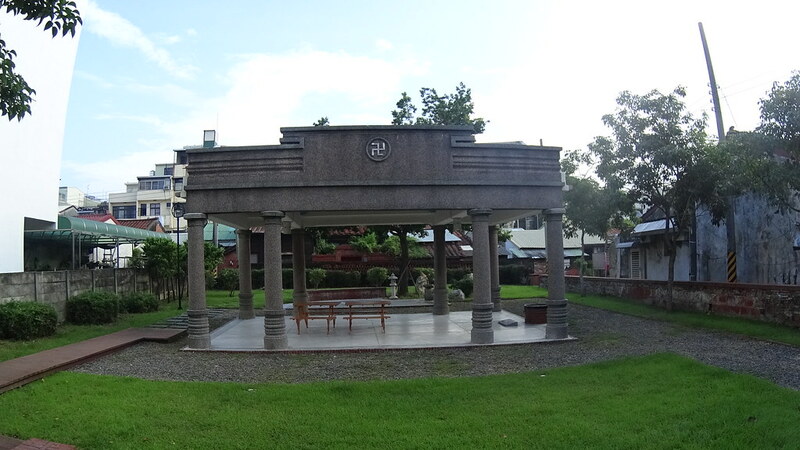 “Octagonal Pavilion (八角樓)”, a house with octagonal construction. 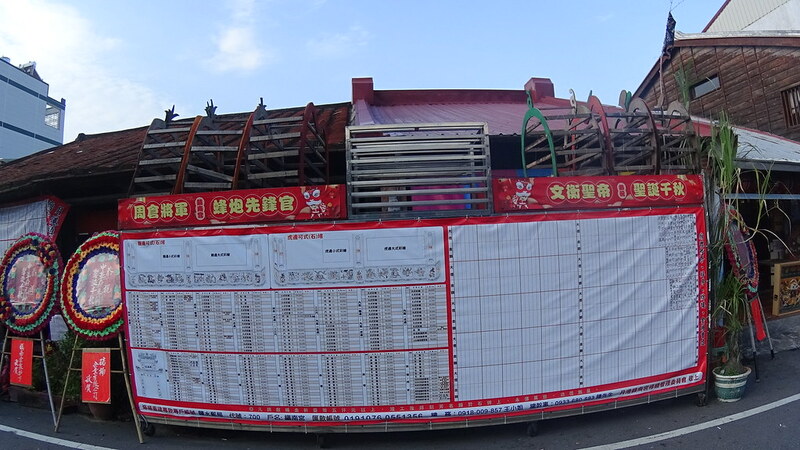 A huge temple donation list. 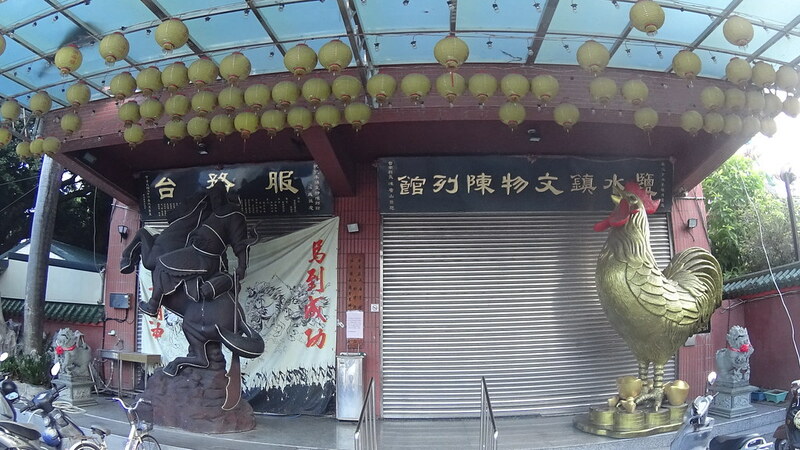 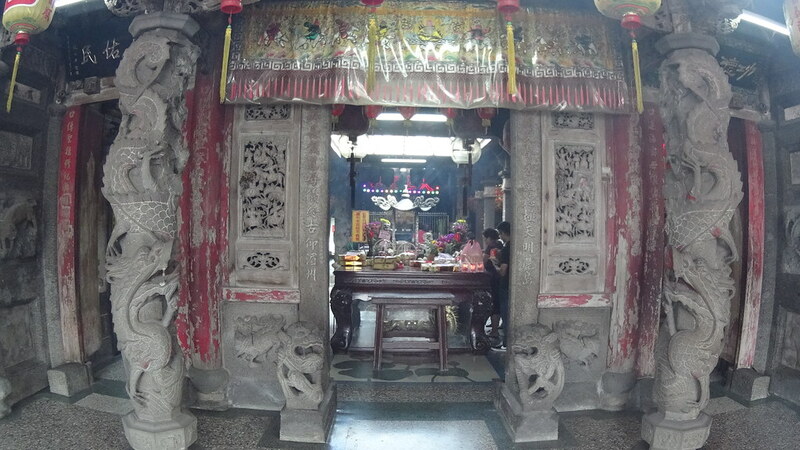 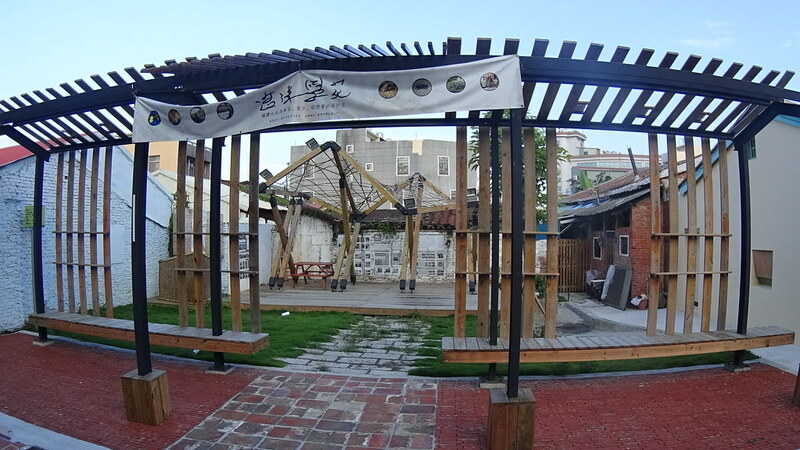 Another famous temple in YanShui was Wu temple (鹽水武廟), the starting point of “bee firecracker” event. 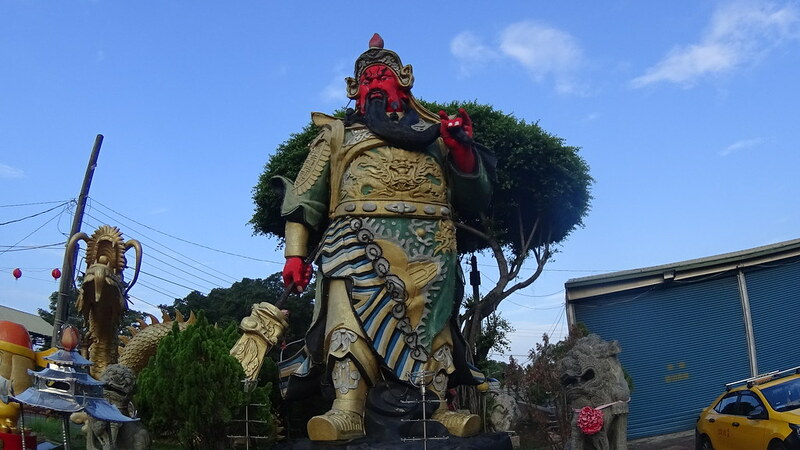 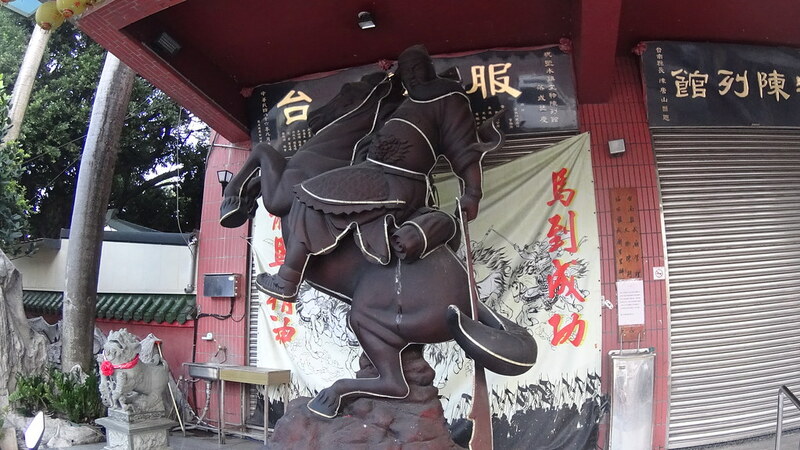 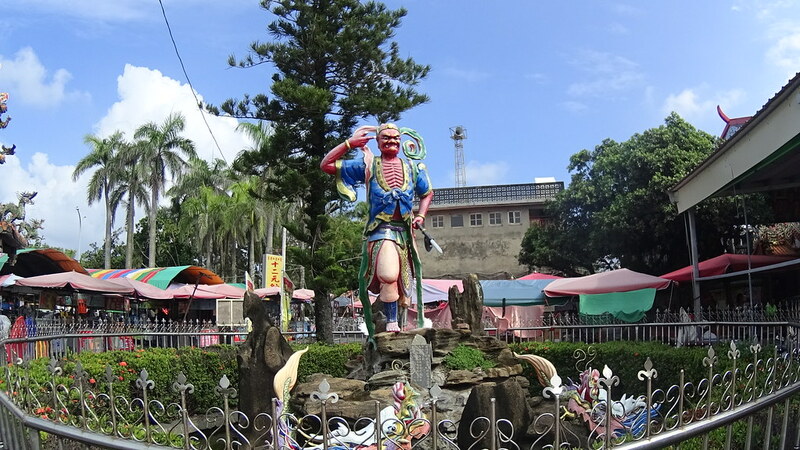 GuanYu (關羽), an ancient general and is often worshiped in Taiwan for his loyalty and bravery. 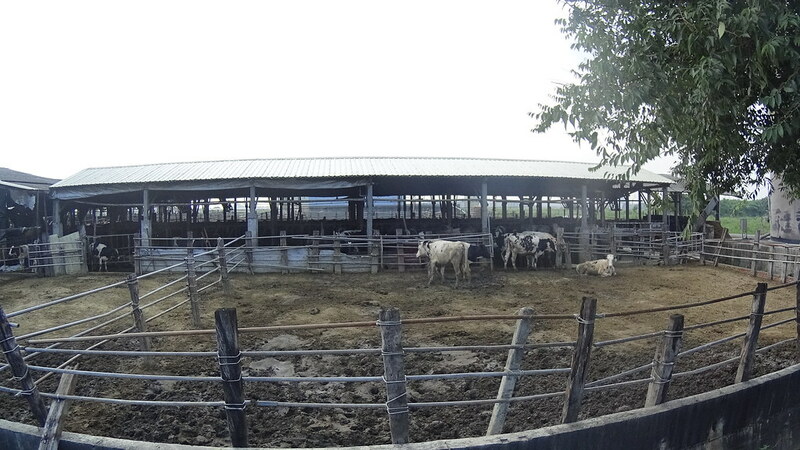 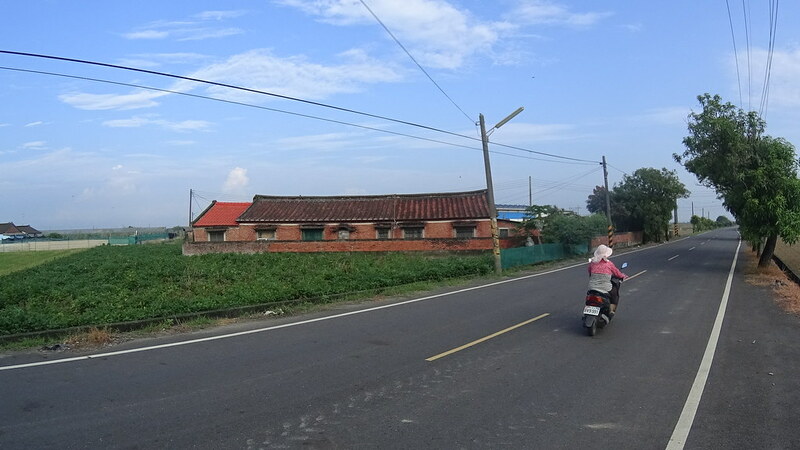 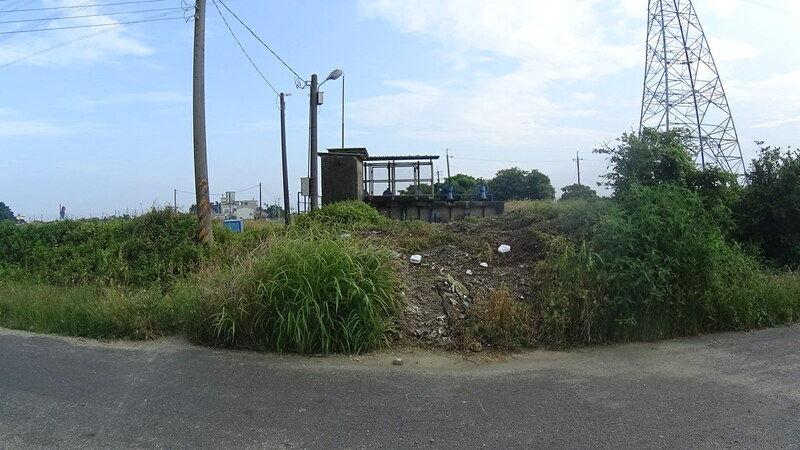 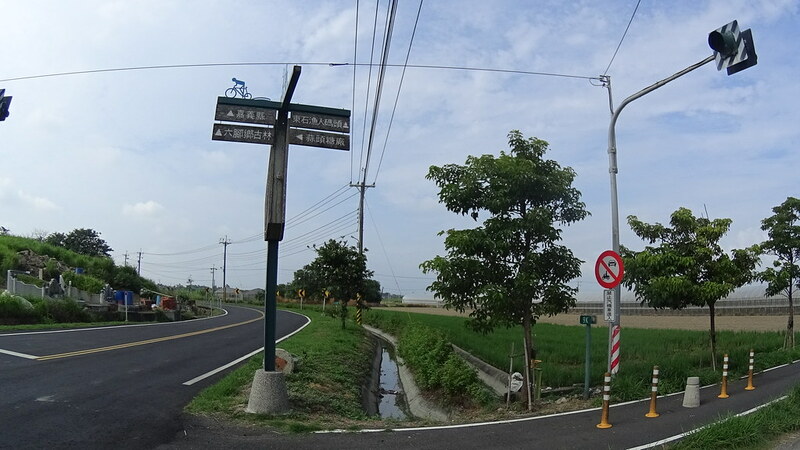 After leaving YanShui, our ChiaYi Land and Coastal Ride headed through rural lands. 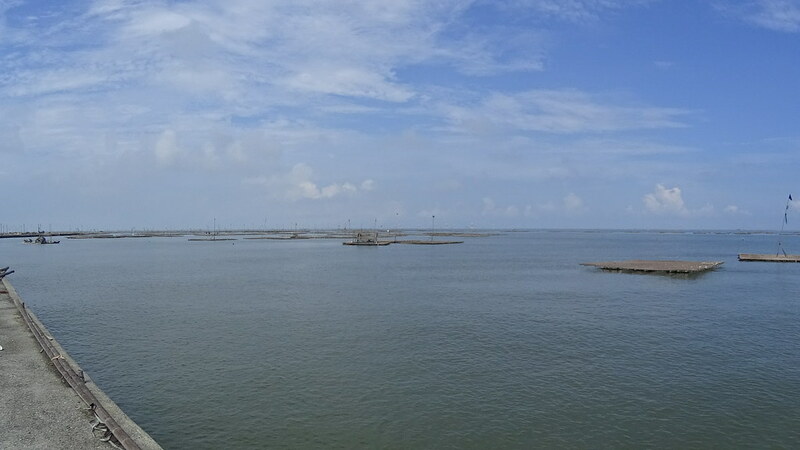 The place was called “flooded harbor”, LOL. 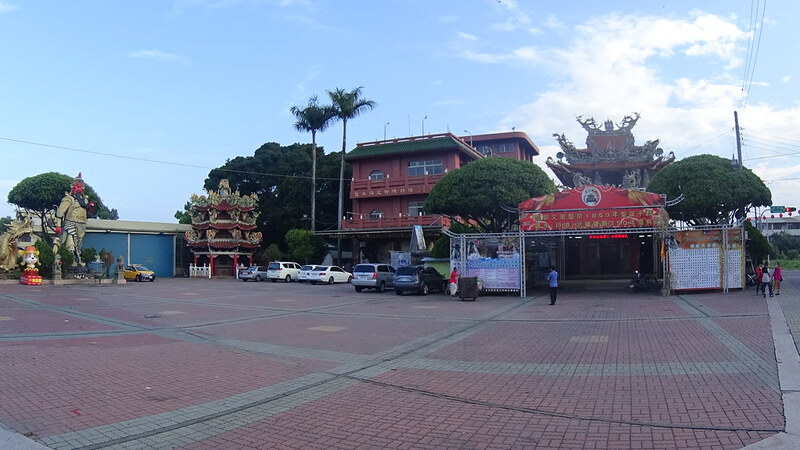 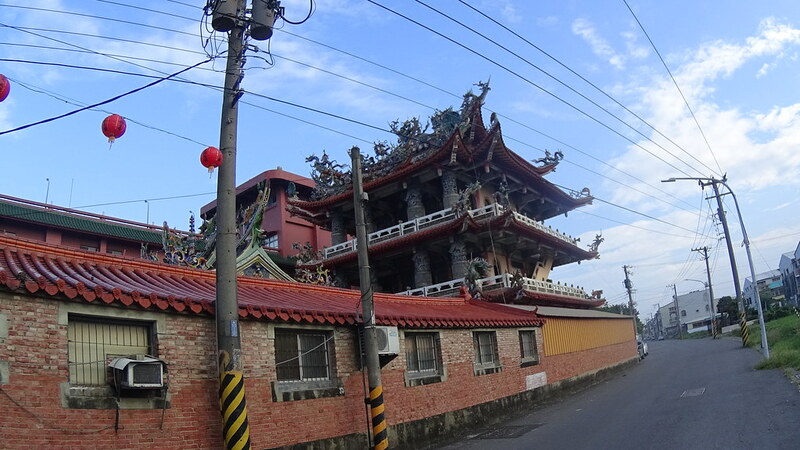 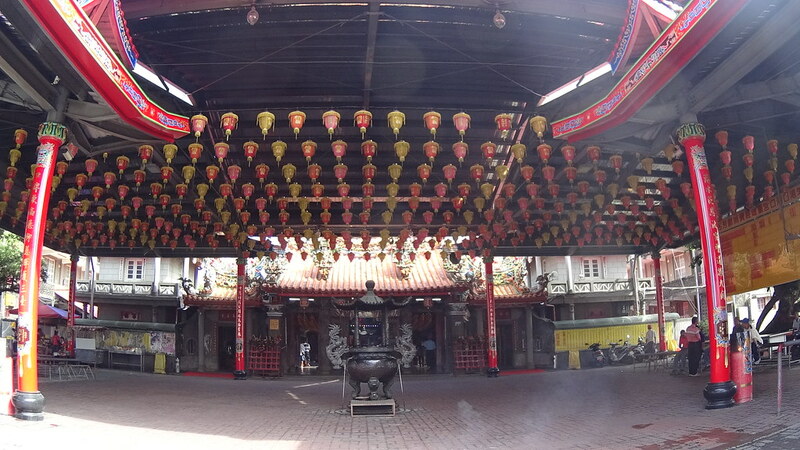 In southern Taiwan like ChiaYi there were many impressive temples. 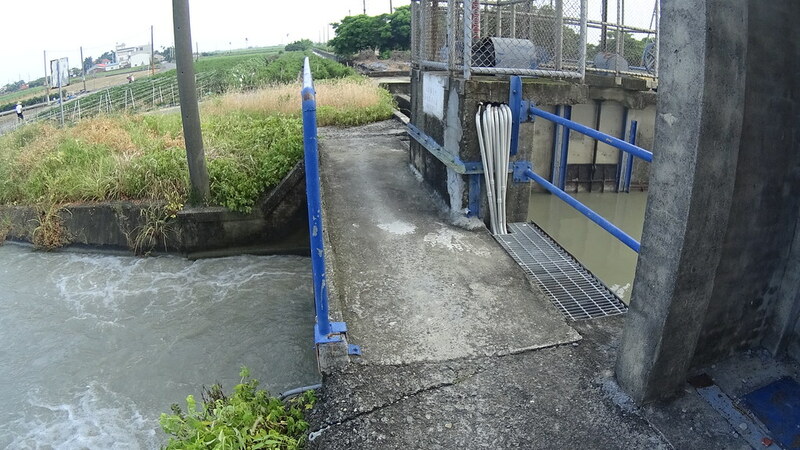 Crossing a sluice. 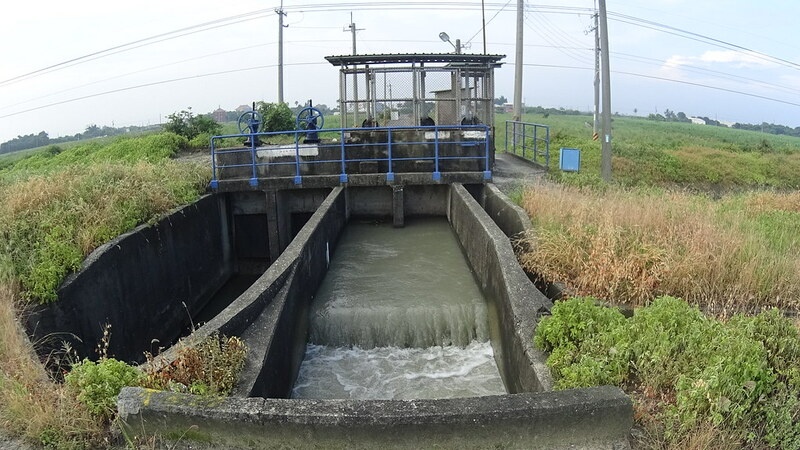 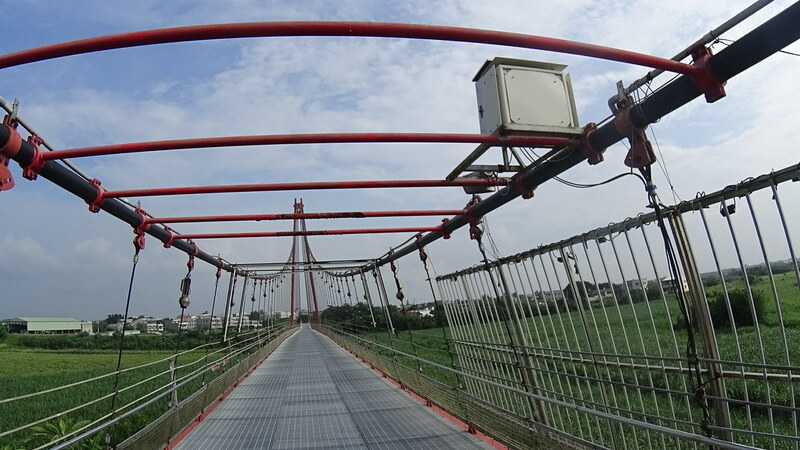 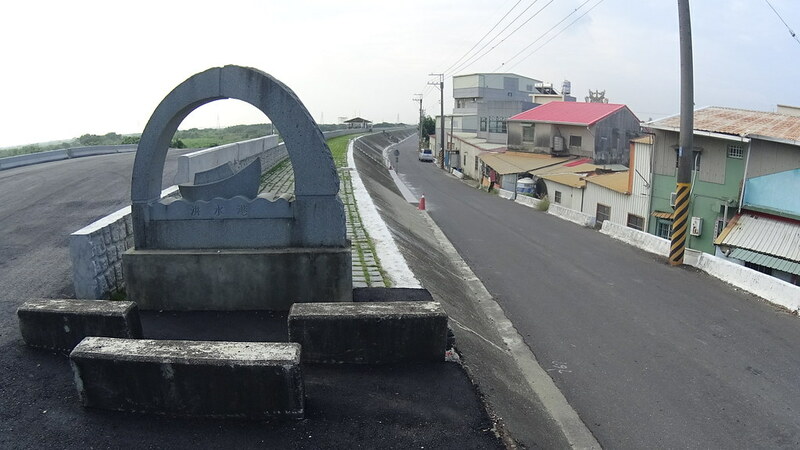 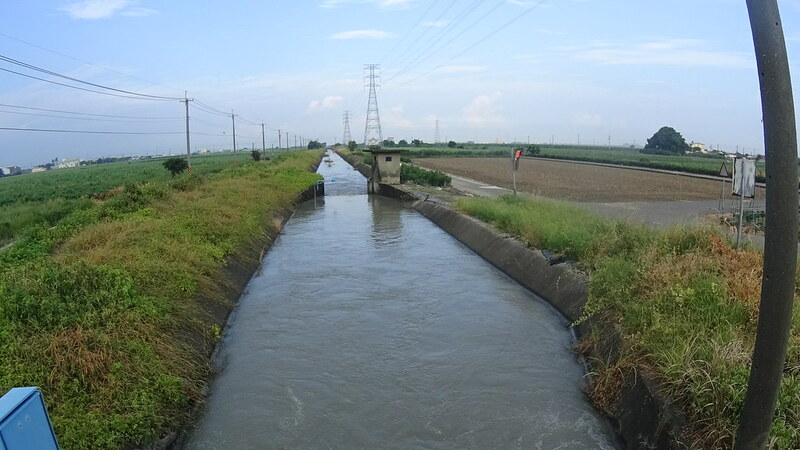 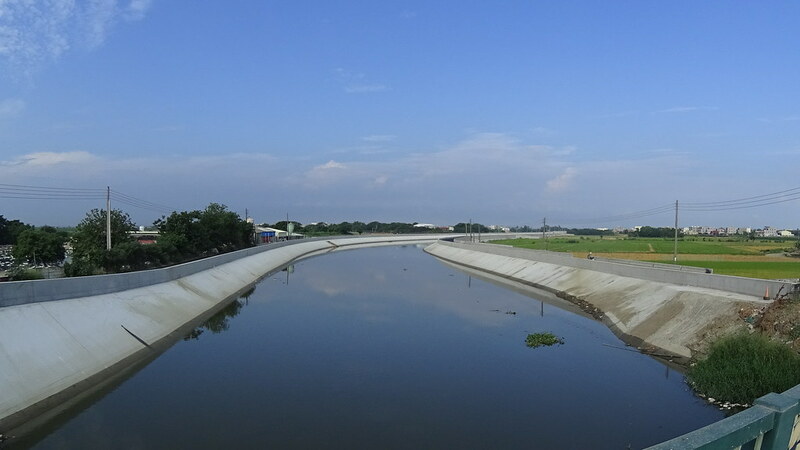 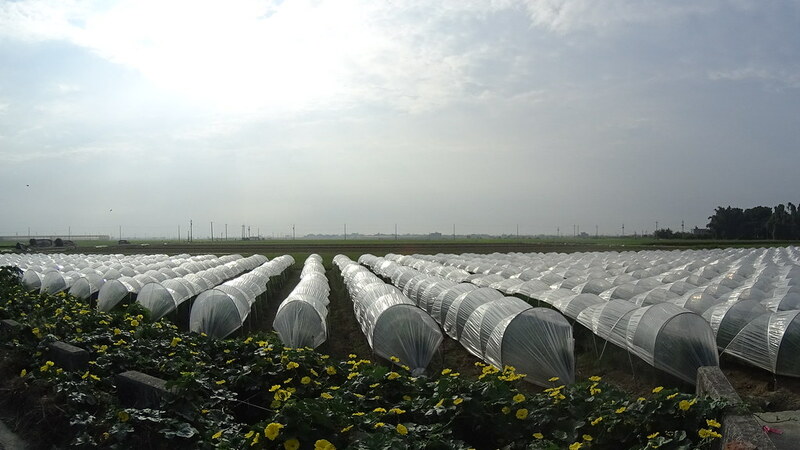 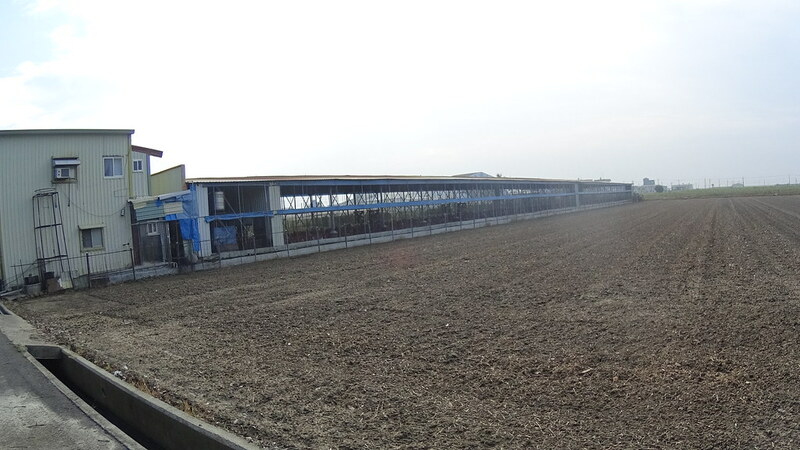 A complex irrigation system was placed at ChiaYi 100 years ago to support growing crops. 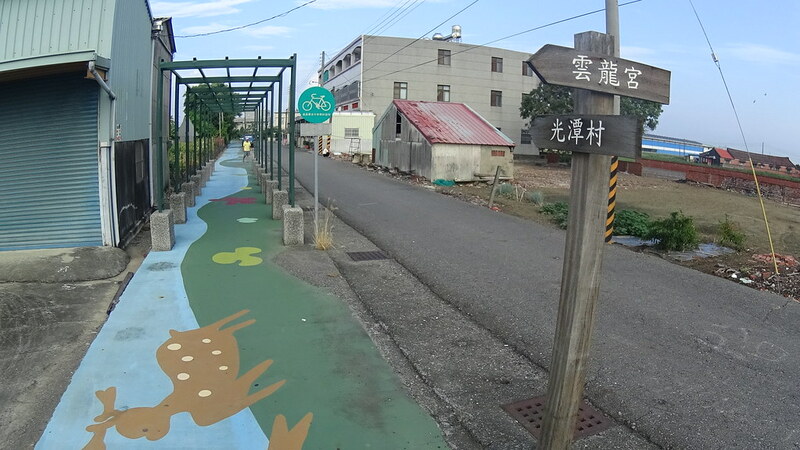 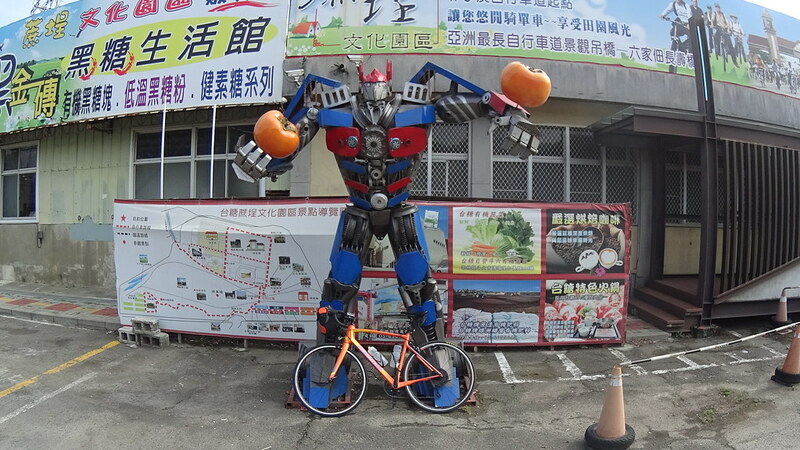 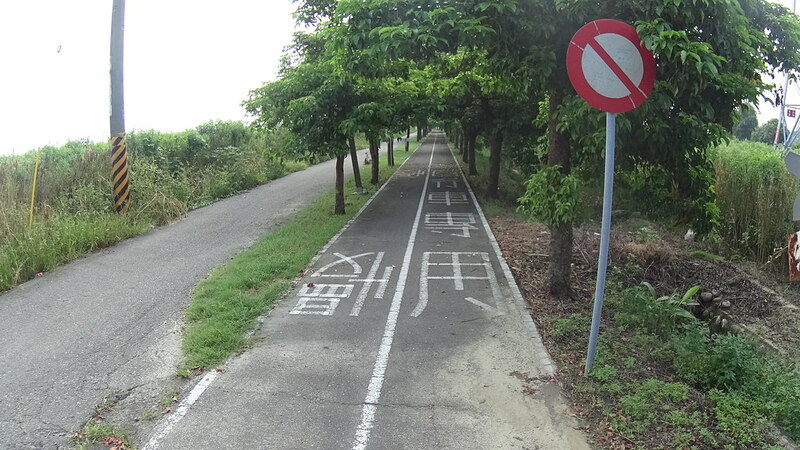 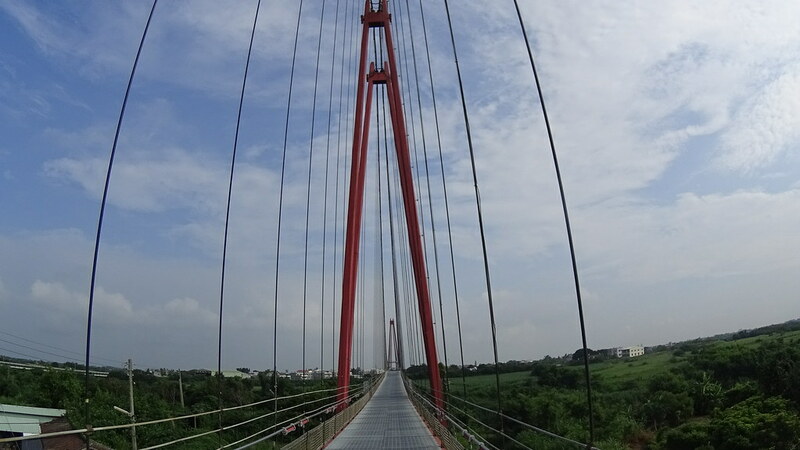 And to my surprise, there was actually some bike paths in ChiaYi. 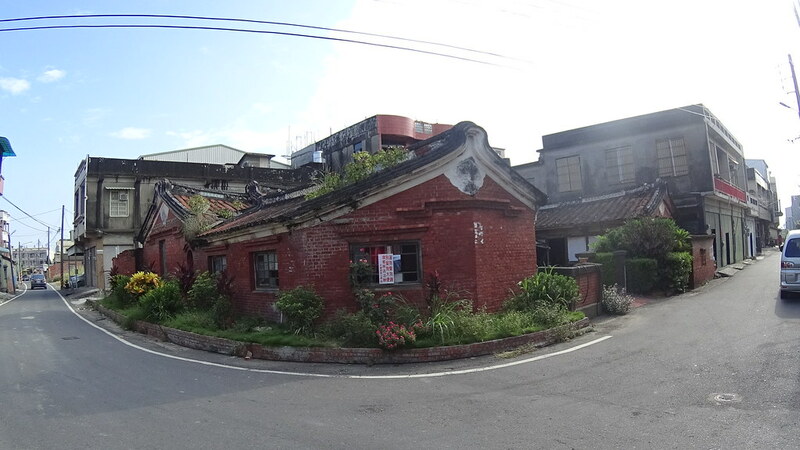 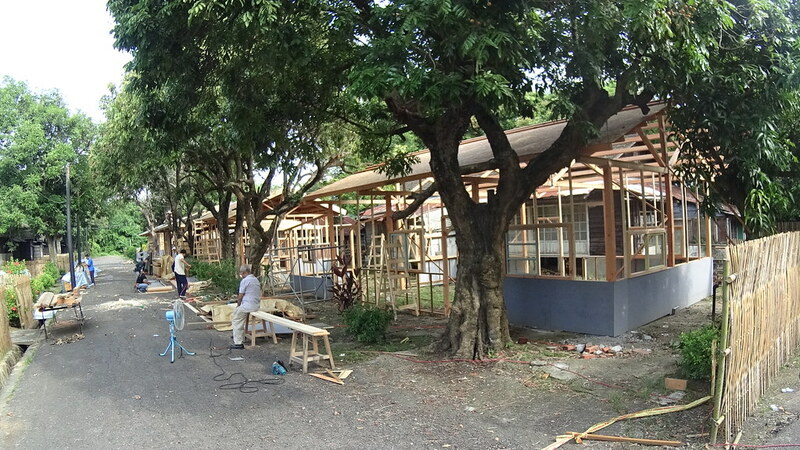 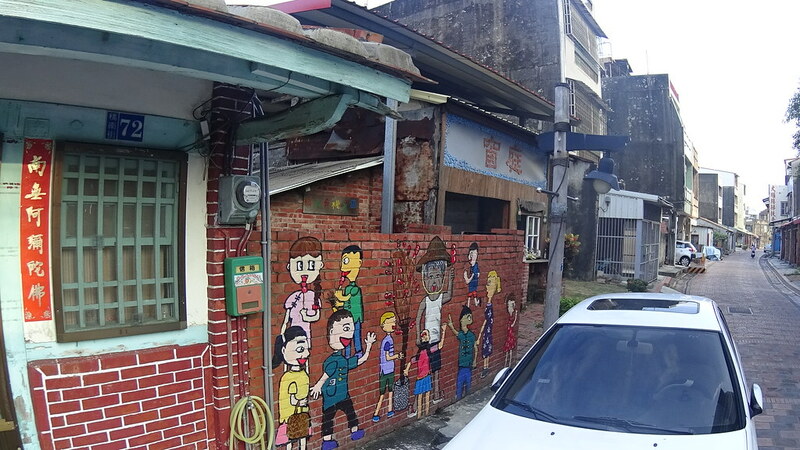 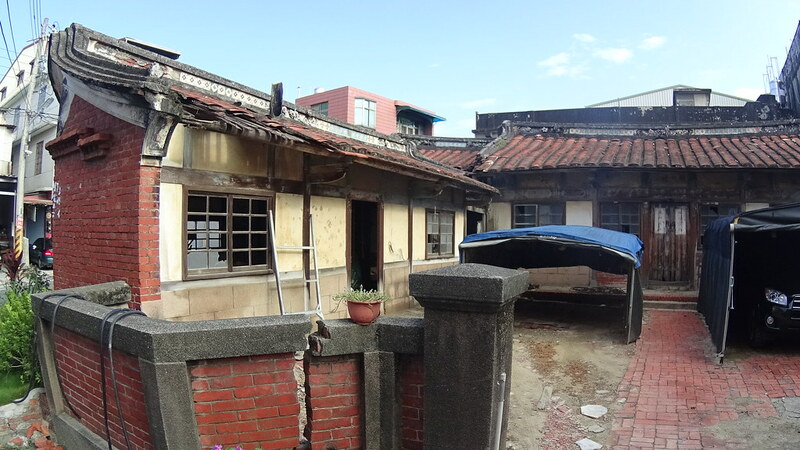 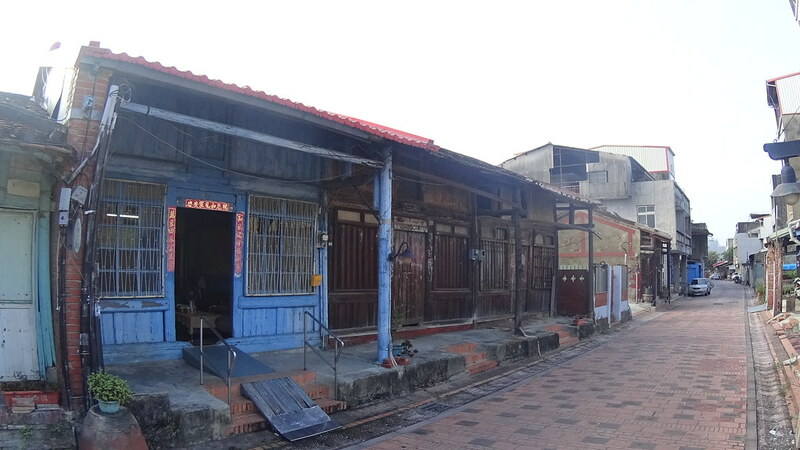 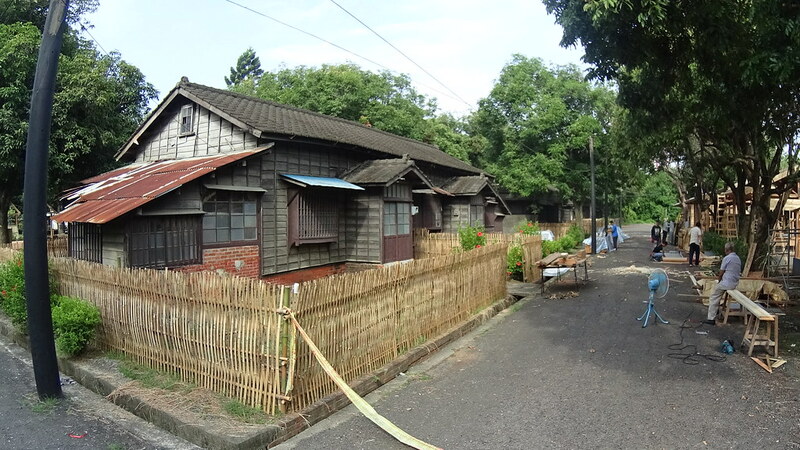 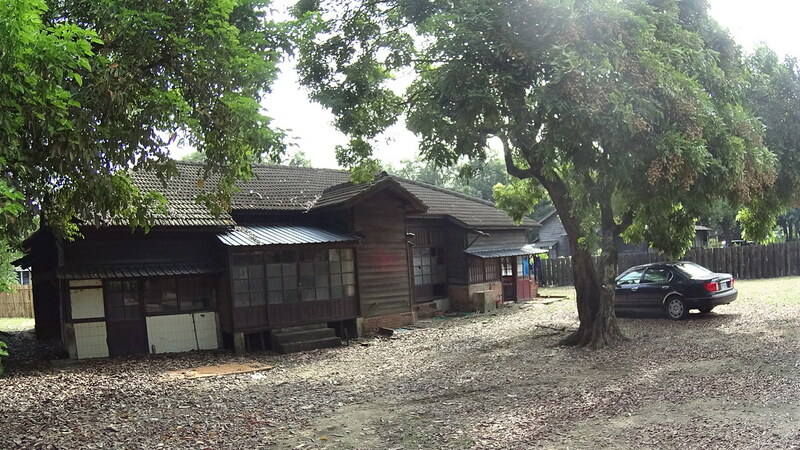 One of the cool things riding in rural ChiaYi was to see all these old houses, some were deserted like this one. 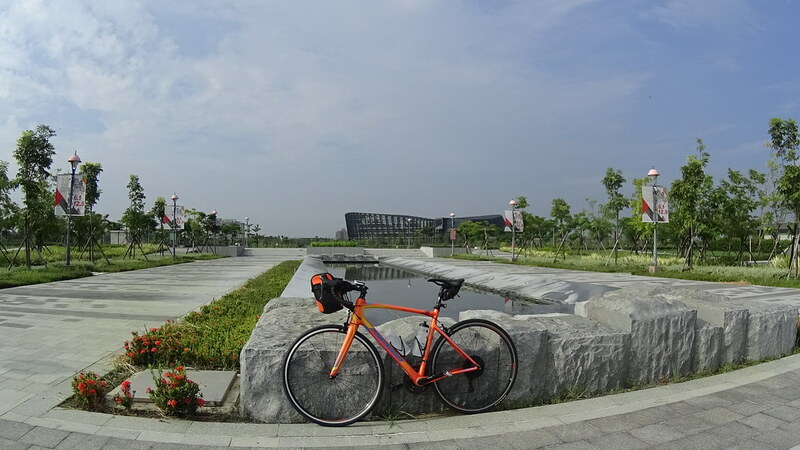 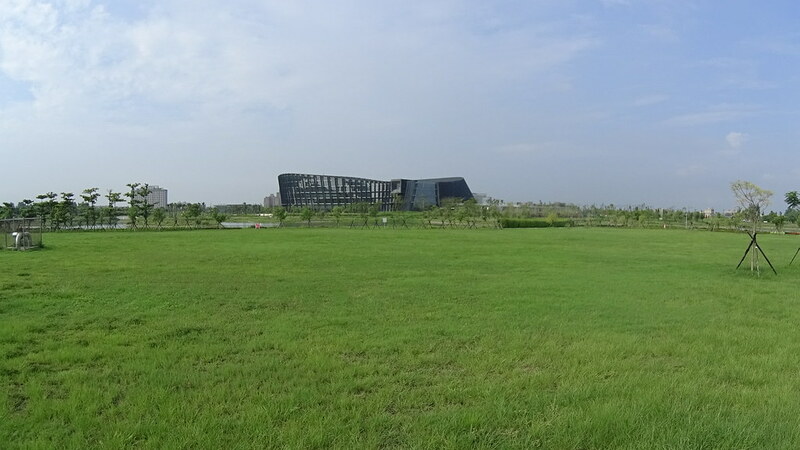 After some time riding through farm lands our ChiaYi Land and Coastal Ride encountered two big museums. 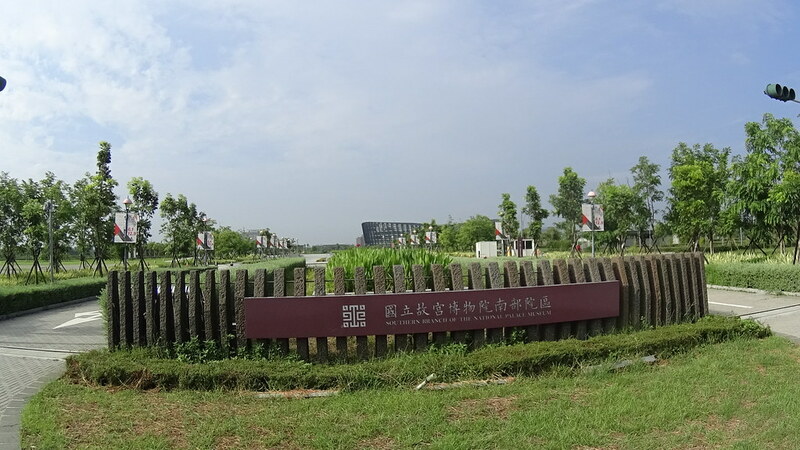 At the south was the southern branch of the famous National Palace Museum (故宮南院), a big open park with a modern building. 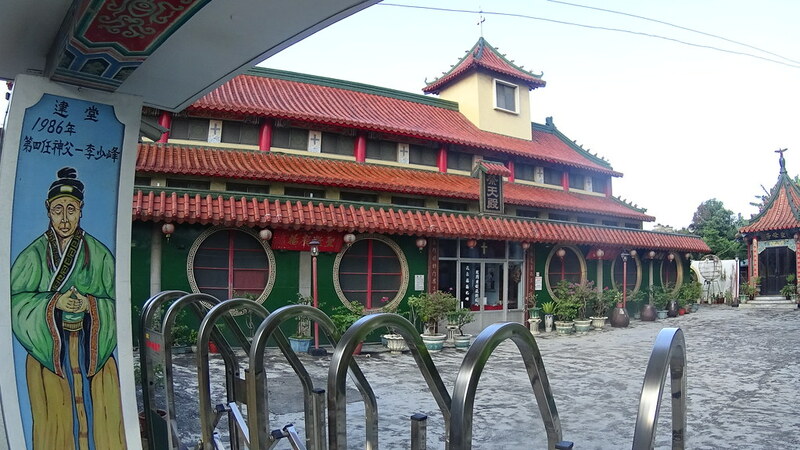 The modern building. 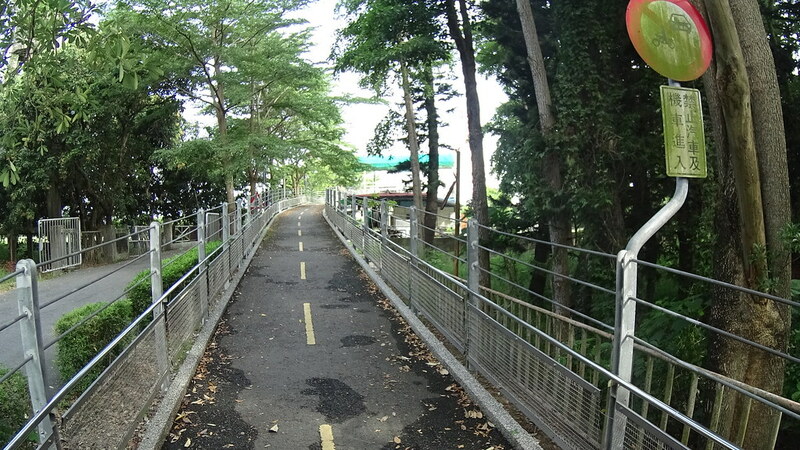 There was some nice bike paths inside the park. 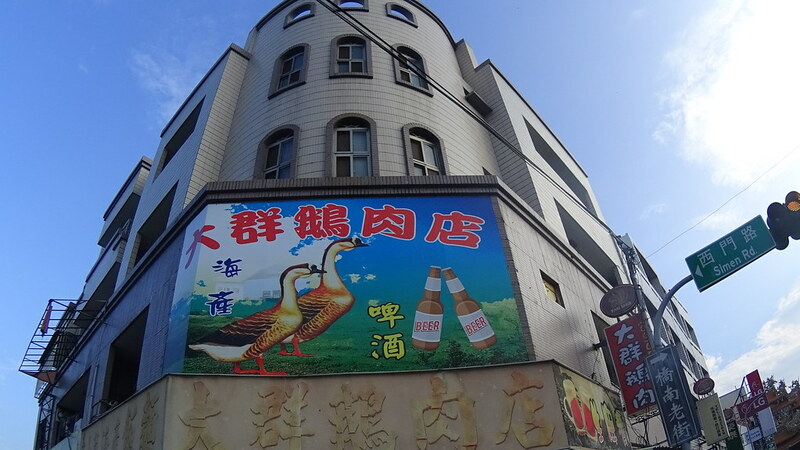 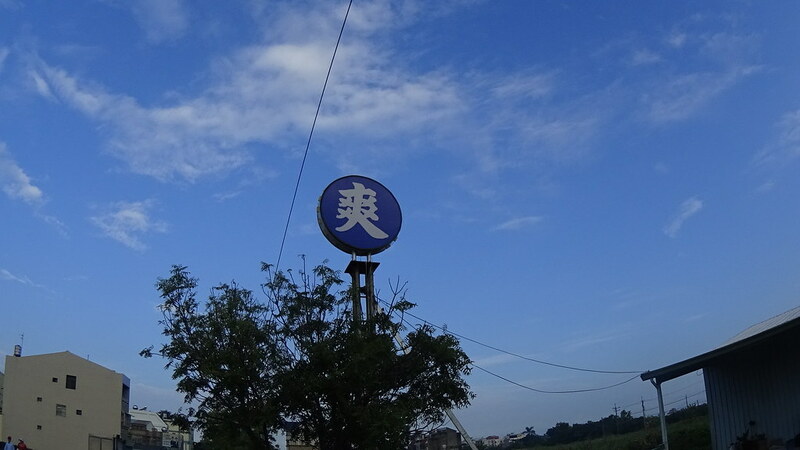 At north there was an old sugar factory complex called “SuanTou sugar factory” (蒜頭糖廠), with SuanTou being “garlic” in Chinese. 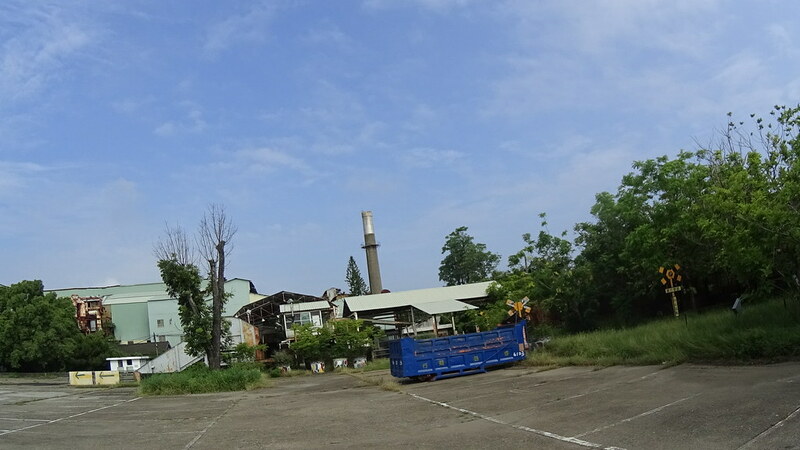 Formerly a cane sugar processing factory 100 years ago, now the area was a mixture of preserved factories, old Japanese dormitories, cultural park as well as residential buildings. 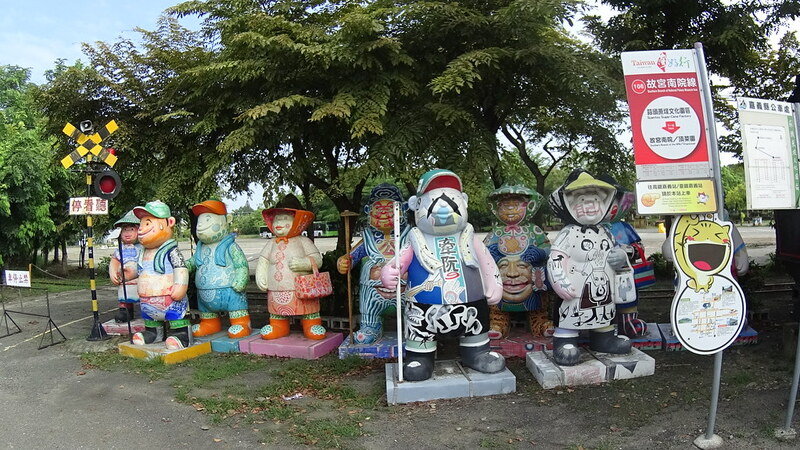 ChiaYi mascot: a pair of bears, one carrying a hoe and the other wearing a straw hat. 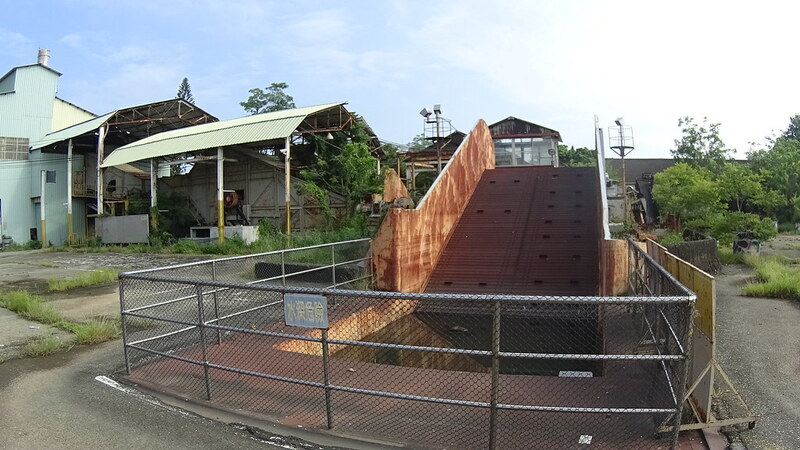 Probably this was the sugar cane entrance. 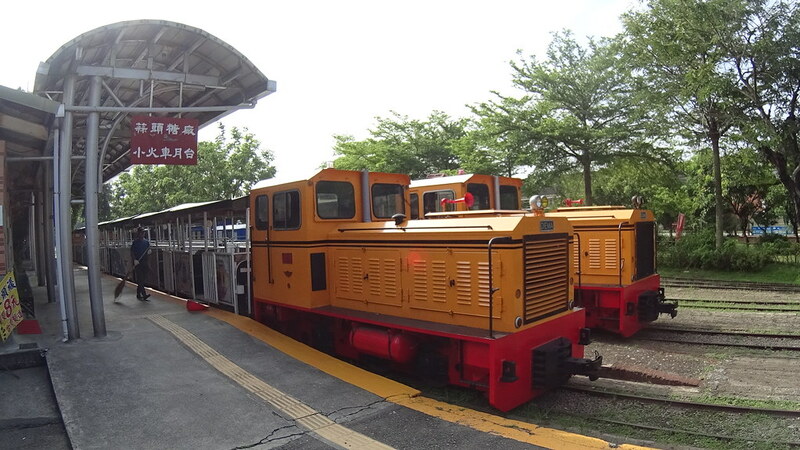 Trains that formerly carried sugar canes. 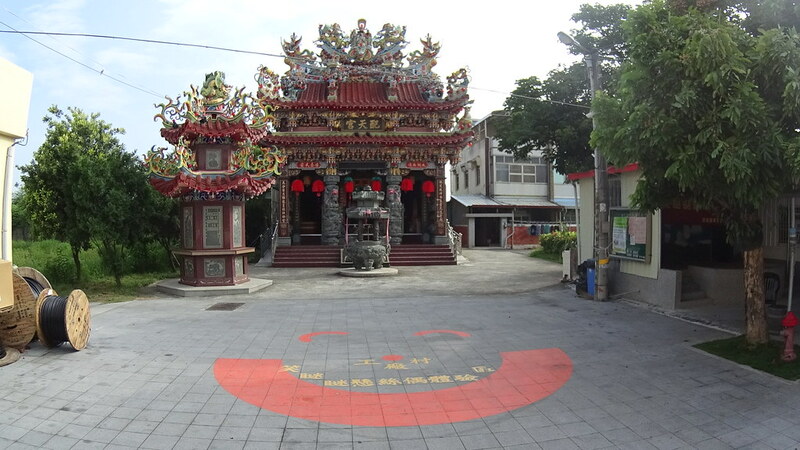 Temple with a smile : ). 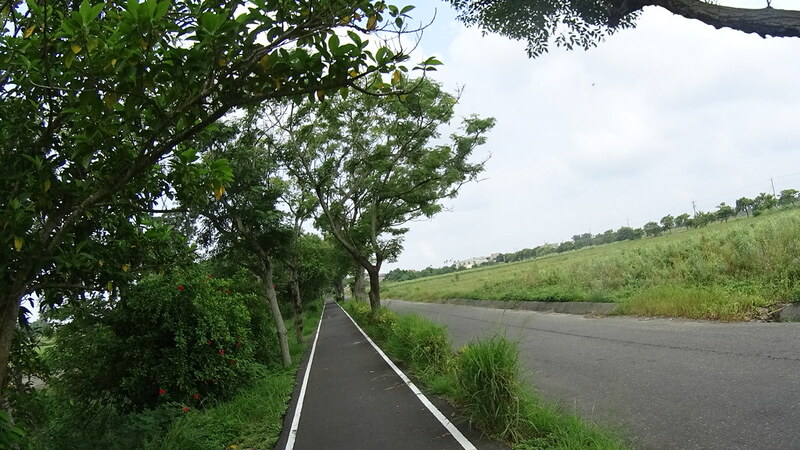 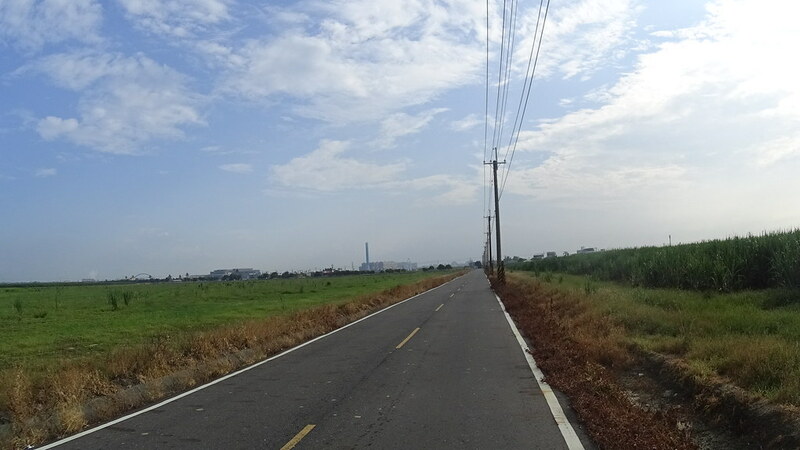 From SuanTou sugar factory our ChiaYi Land and Coastal Ride got onto a nice bike path towards the coast. 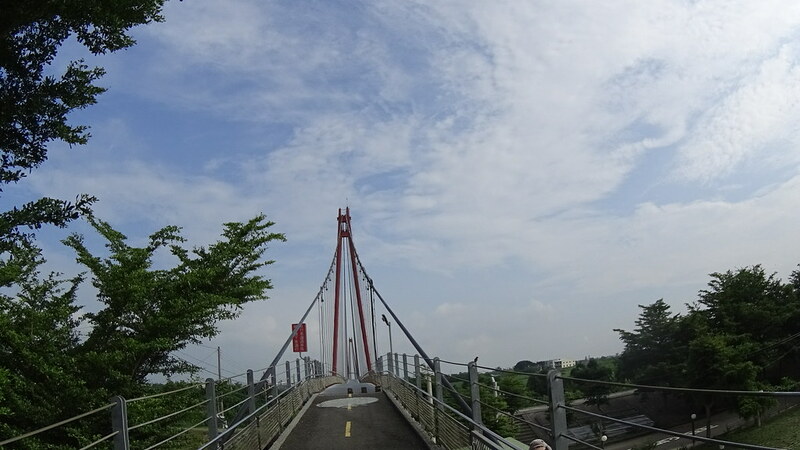 The starting point was marked by a cool bridge. 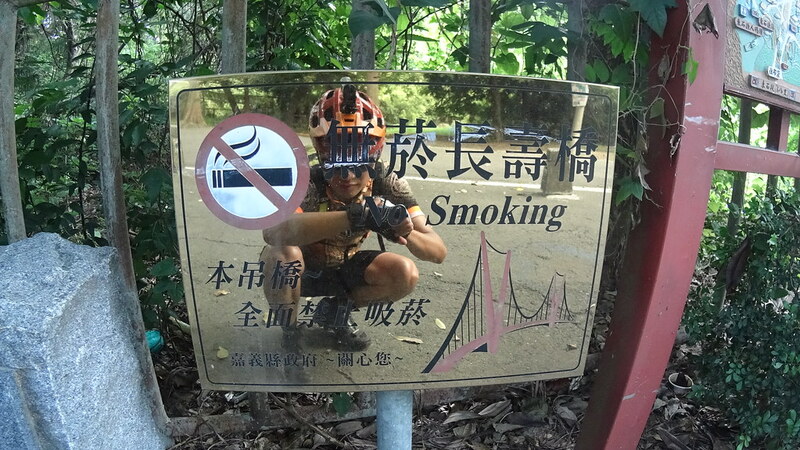 “No smoking on Long-live bridge”. 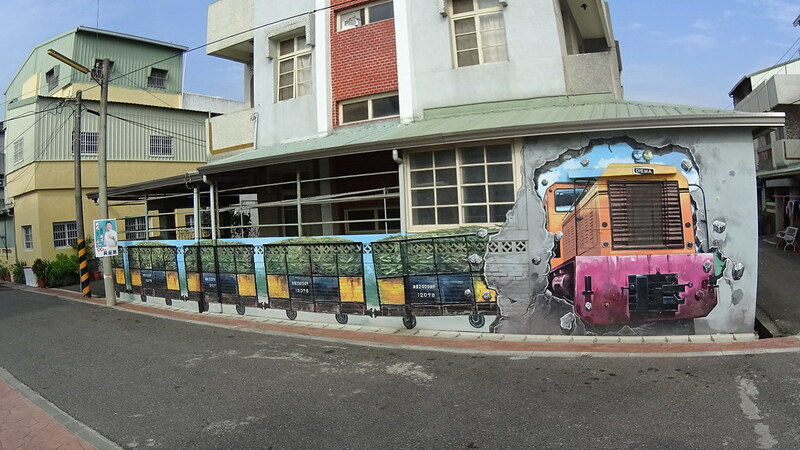 If you smoke Taiwanese cigarette this was a nice pun. 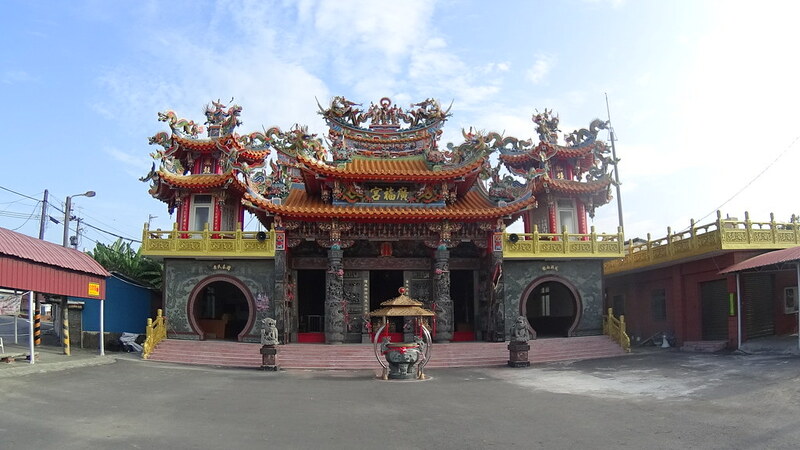 At the end of the bike path there was a cool temple. 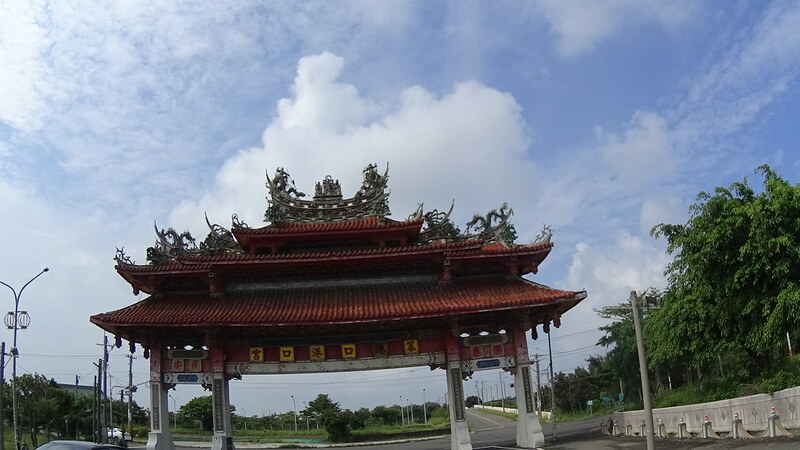 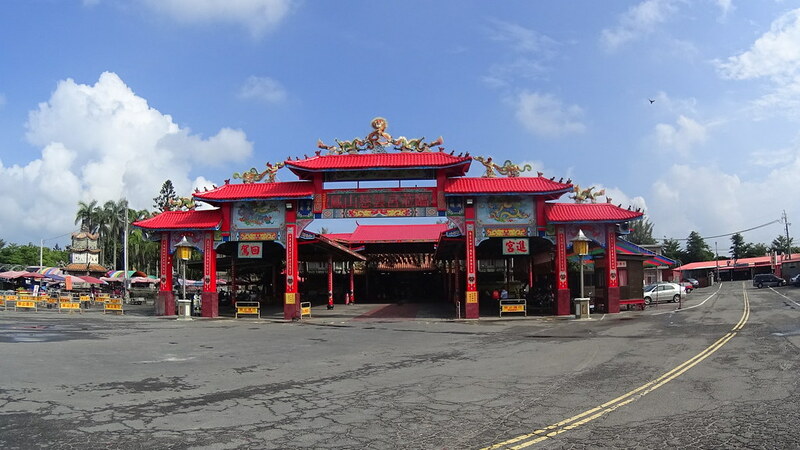 A massive temple has wide roads at front and an impressive archway. 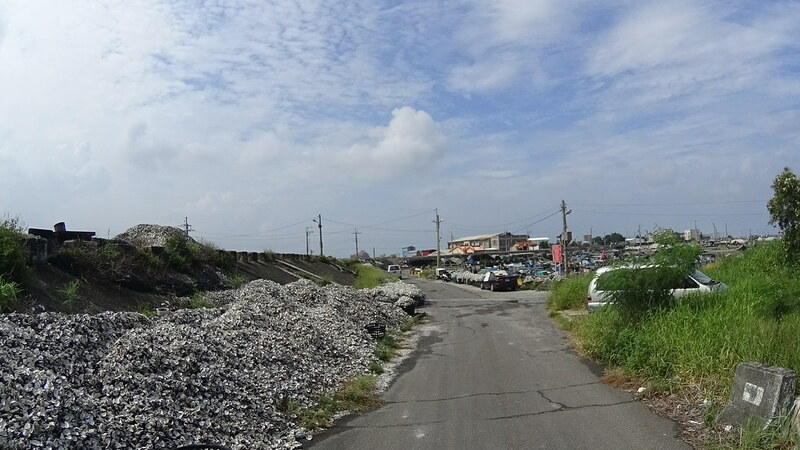 After we passed the big temple, we become very close to the coast, and the air was full of oyster smell. 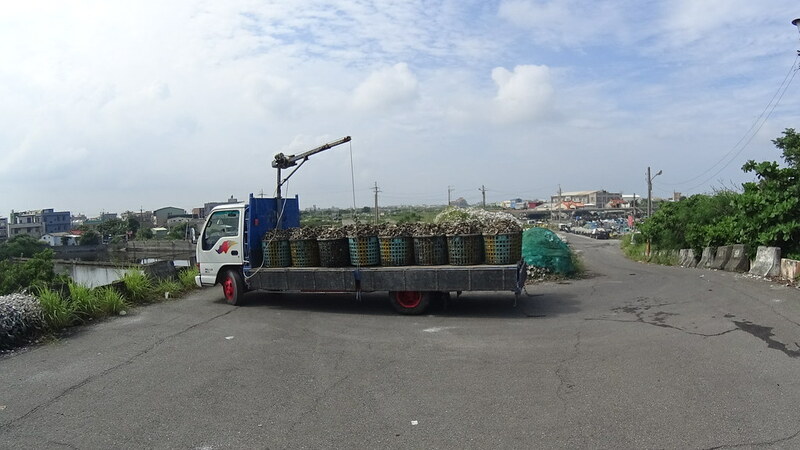 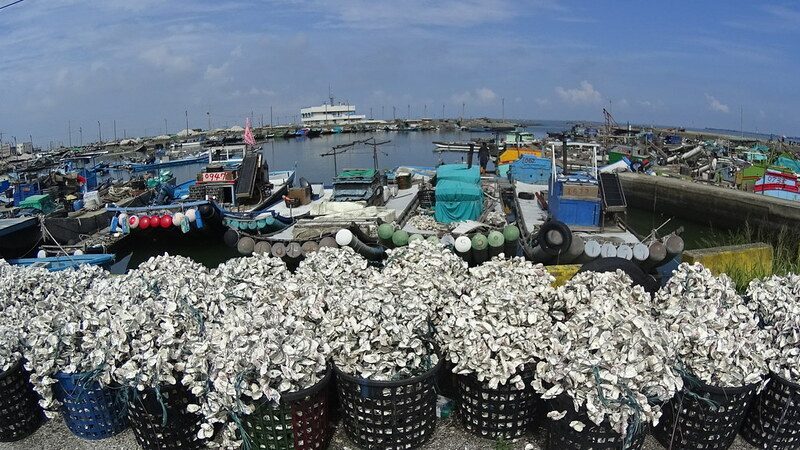 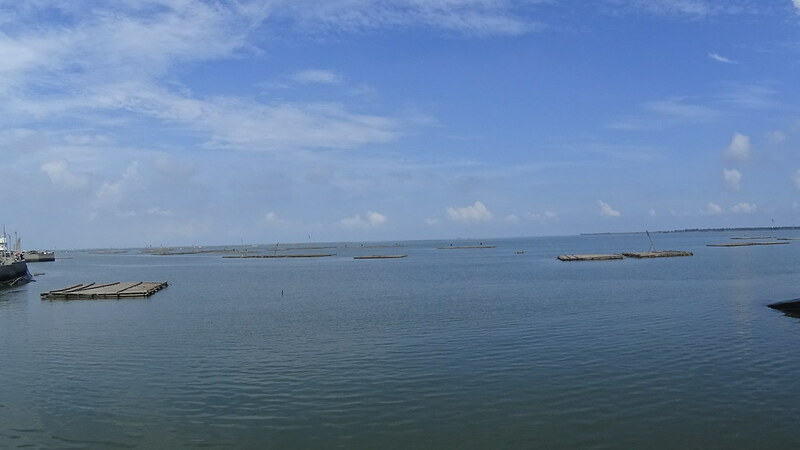 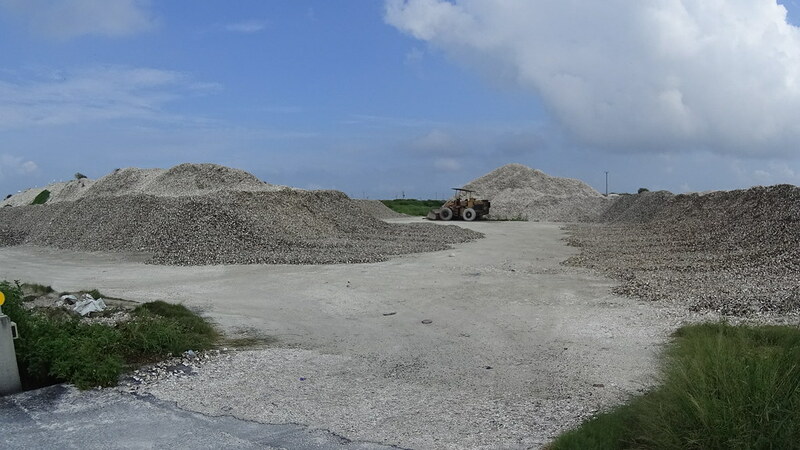 It seemed that ChaiYi’s coastal areas were particularly rich of oyster farming. 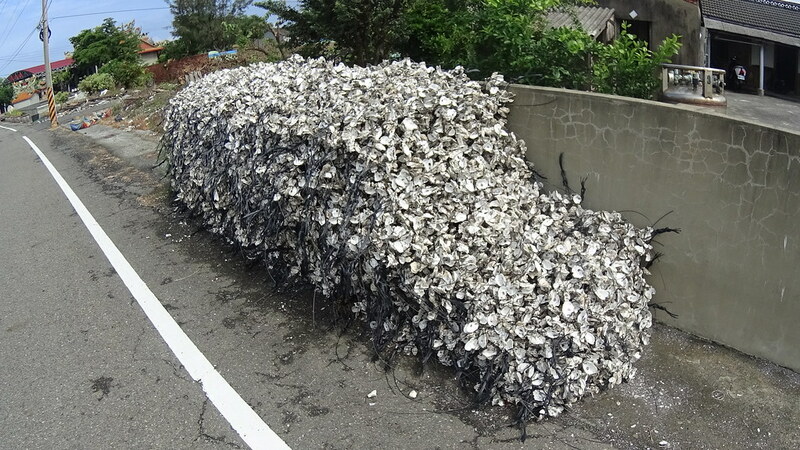 Here the country road side was full of oyster shells. 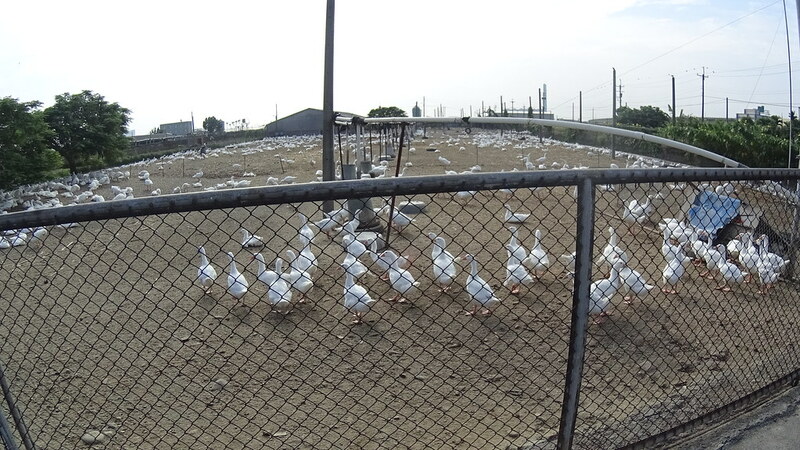 Some were in plastic buckets, while others were attached on plastic/metal stripes. 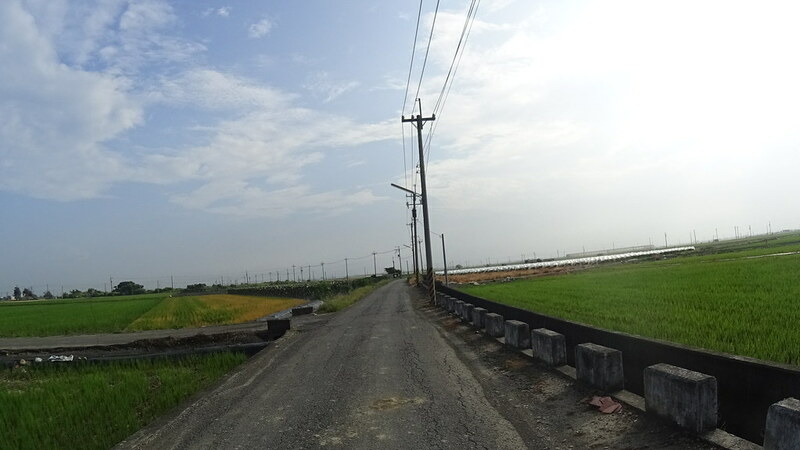 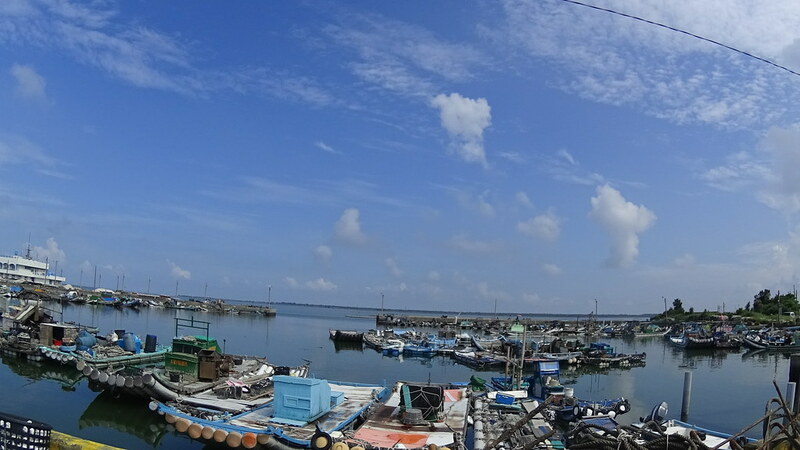 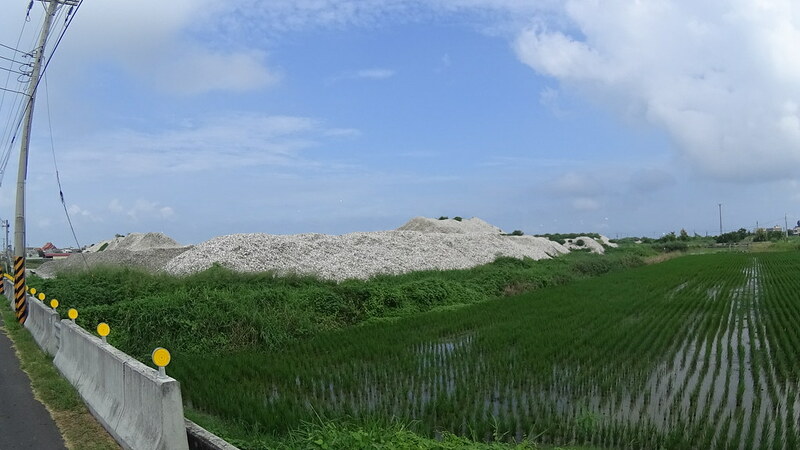 Soon our ChiaYi Land and Coastal Ride reached the coastal harbors. 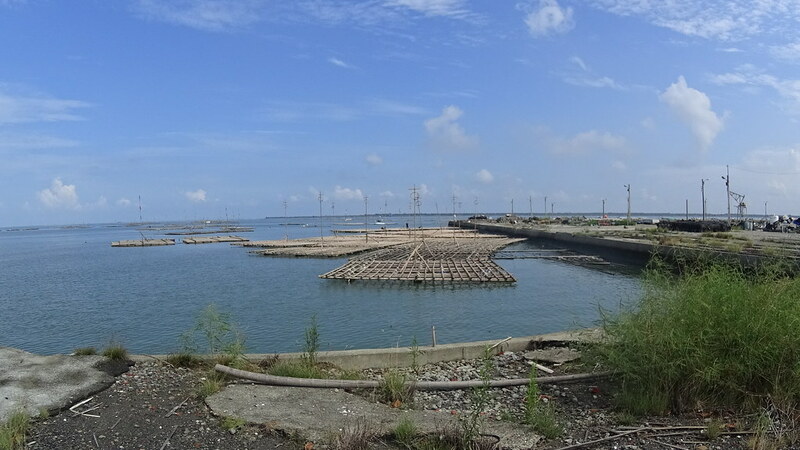 Here the areas were divided by the seawall: inside were many fish farms, while outsides were harbors for oyster harvest. 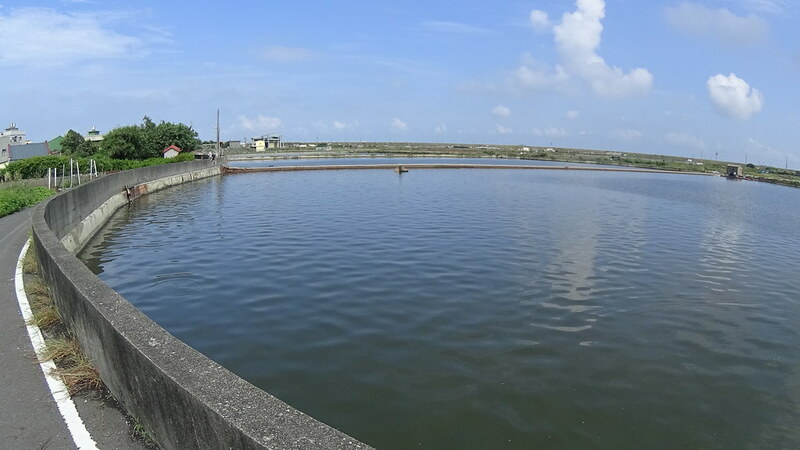 There were many fish farm pools very close to each other. 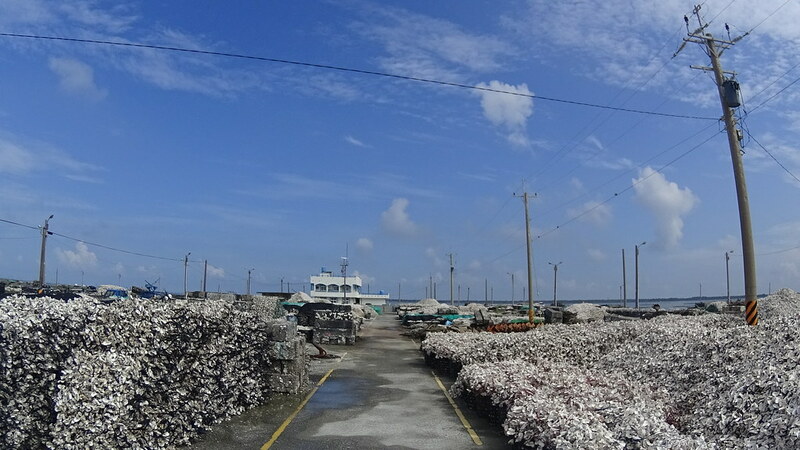 Oyster harvesting boats & shells.